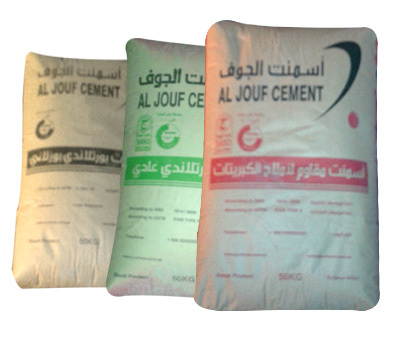 This type of cement is different from the rest of the other types,to distinguish low aluminate content tri-calcium aluminate ratio which is responsible for interaction with the Sulphate ions in the soil or water which prevents volume increasing of concrete and the occurrence of cracks in areas where the soil contains a high proportion of Sulphate. Sewage plants (bases of construction and foundations). This type of cement distinct because of its specifications differ from other types of cement is made up of (70% -80%) Portland cement plus (15-20%) Pozzolana a black (volcanic) materials hundred percent natural silicon and aluminum, taken from volcanic mountains not directly exposed to any interactions or chemical additives therefore advised to use where there is any damage or disadvantages of the various uses and which gives itselfa great value advanced (ASTMC618-73). Plays a role in making the mixture of cement, elastic and flexible (interior and exterior finishes). Reduces the permeability of cement due to its high smoothness. Improve the properties of plastics and cohesion (suitable for cement painting). Health- friendly material is not harmful to the environment (natural materials do not contain organic materials and has no smell and does not export. Factories of all kindsof Bricks Block. Concrete pipe exposed to water with a high percentage of Sulphate s (water marshes and sewage, which does not require bearing very high strength. Small Bridges which is constructed to control the flood water in areas where the soil contains a high concentration of free Sulphate and silica (northern areas, the city of Jeddah, Medina).